Do you want to be a better sponsor for your brand new person? Here is a network marketing tip for you: If you want to be a better sponsor, Know Your Why for building your business and help your brand new person to know their why for building their business. It seems so simple but there is more to this than you would think at first glance. If you add this one thing, you will build a stronger, happier and bigger team. In the network marketing profession, we talk a lot about the need to know your why. We ask our brand new person (or we should be asking) “Why do you want to do this business?” And we often hear “your why needs to make you cry”. (I don’t think my why has ever made me cry – but it does move me into action.) If you want to be a better sponsor, you need to help your brand new person to see that their why needs to be big enough so it will get them up out of that comfy chair and into action. This is a really important question to ask your newly sponsored person. When I first got into the industry in 2006, I remember feeling awkward about asking someone what their why was and to share with me their dreams. It seemed too personal. Remember, I come from a big American corporate background – we never did anything like that! So I didn’t do this first step for the first year. And then I realized that if I wanted to be a better sponsor to the people that I was bringing into the business, that I might want to include what I was being taught as being the first step. And when I finally got the nerve up to start asking people about their why, I was amazed at how powerful it was. People that I had known for years started sharing with me things I had never known that they wanted to do. Molly wants to build a meditation retreat center and Sue wants to create movies about kids that have overcome hardships. I had no idea until I asked the question. Network Marketing Tip: Help people to understand that to know your why for building this business is key. When I started asking people what their why was, the conversation around this question really helped to create a bond between my brand new teammate and me – even when it was someone I had known for years. But the key to asking your newly sponsored person about their why is to keep asking the question. Everyone will say when asked “tell me your why for building this business”: “because I want more money”, “because I want to get out of debt”, or “because I want financial freedom”. And those are great goals. But the money all by itself isn’t enough. Trust me on this, it isn’t enough! When somebody says they want to pay off their bills and that is why they are coming into business with you, if you want to be a better sponsor, you need to ask them to think bigger. So keep asking questions. 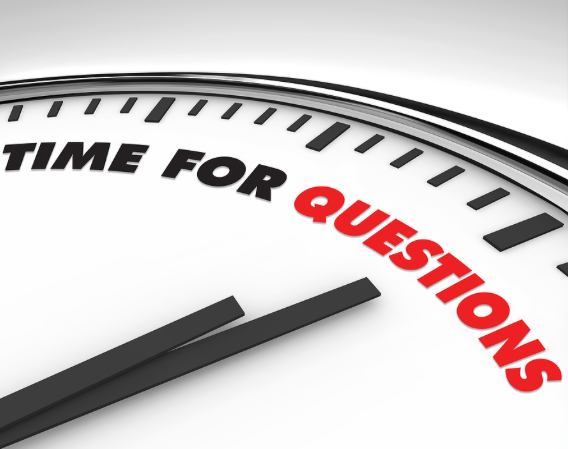 Network Marketing Tip: Leaders ask questions. Follow up with these questions: What are you going to do with the money? Why would financial freedom be important? What does it look like? Where do you live? What does your house look like? Who is with you? What car do you drive? Where do you travel to? How do you travel? Are there causes that you want to give to? What are you going to do for you, your family and friends that is different? If you want to be a better sponsor, keep asking questions…. Most people don’t have these answers right away, but given a few minutes, they will come up with the real reasons and their real why to build a home based business. The reason why we don’t have the answers right away, is nobody in our traditional business life or even personal life, asks us this! And that is exactly why it is so powerful. By asking your brand new person this you are helping them to visualize what success would actually look like for them. That is much more powerful than a blanket “I want financial freedom.” You are helping them to figure out where they are going and to FEEL what that would feel like. You are helping to anchor that feeling so when the ups and downs happen, they can tap into that feeling to remind themselves why they are building a network marketing business. And if you want to be a better sponsor, you will remind them of that feeling too when the ups and downs inevitably happen. This conversation between two people is actually a wonderful experience for both of you! I hope these network marketing tips are of value to you. For more business tips, click here. You may also love my recent network marketing tip blog post about reaching up to meet the industry leaders. If you learned something in this article, share it on Facebook! Also, comment with your thoughts below. 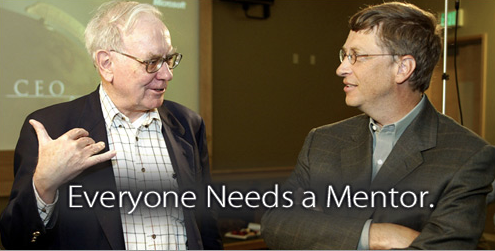 Network Marketing Tip: Do You Need to Meet Industry Leaders? Network Marketing Tip: Is it important to meet Industry Leaders? The short answer is yes. Absolutely. Success really does leave clues. And if you want what successful people have – the easiest way for you to get there is to follow in the footsteps of people who have already been there. My life is absolutely different and better today because of mentors AKA Industry Leaders. Mentors will help you in ways you can’t even imagine today. Real leaders have a heart space to help other people become successful too! Here is a network marketing tip and example for you of what I am talking about. I just returned home from the Top Earner Academy event with Ray and Jessica Higdon, two rock stars in the network marketing training space. I had the great pleasure of meeting Lisa Grossmann and Curtis Broome while I was there. Lisa and Curtis have been in the network marketing industry for about 25 years and hugely successful in building great businesses all over the world AND consult with many network marketing companies on how to be well, just better. Do you think they might be able to teach us a few things? Do you think they are true leaders in our industry? I loved hearing Lisa speak at the Top Earner Academy event and knew that I wanted to meet her and get a chance to talk with her before the event was over. I was surprised (and elated) when Lisa came up to me after I spoke on the Success Panel and said “I am so glad I get to meet you. I have been following you for a long time.” I thought – “really, me?”. (Do you recognize that little voice inside all of us that questions if we really have something worthwhile to offer? Ignore it. Tell it to be quiet and go away.) Needless to say, I was very happy that she did come up to me! Because even though we hadn’t met, I knew Lisa was one of the top leaders in our industry! Take advantage of the opportunities before you and talk to the Leaders in the room! After the session that day, I was so tired and really just wanted to head back to my room and was doing so, when I heard my higher self say, “you need to go back and find Lisa and Curtis and see if they want to go to dinner tonight or meet for breakfast tomorrow. You have been given this opportunity for a reason.” So I made myself walk back, found Lisa and asked her. And I did indeed get to spend several hours talking with Lisa and Curtis that night. You know when you make a connection with someone and you just know it will be an important relationship in your life? Well, that is how I felt. The moral to the story is: first, put yourself in situations where you can meet industry leaders and potential mentors and when you do put yourself in situations where you have the opportunity to reach up and meet someone – say an Industry Leader, that you really admire and want to get to know, then let them know that. Take advantage of the situation you put yourself in. Create the situations where that is possible. Recognize who are the potential agents for good (friends/mentors/trusted advisors/industry leaders) in your life and seek them out. Don’t give in to “I’m tired” or “they won’t want to talk to me” or “maybe another time”. No, right now is the time that you have been offered to meet that person. It is good to reach up! Network Marketing Tip: Be courageous and approach the Industry Leaders! Force yourself to walk back and put yourself smack into the situations and connections and friendships that can make a difference for you. It might be a successful business owner you know that is just looking for a new business. It might be a teacher or a mentor that you meet at an event. It might be the organizer of a networking event you just attended. The best way to create success is to surround yourself with people who have done what you want to do. Those opportunities happen more often than we realize – don’t ignore them or cave into the little voice that holds us back. I am so glad I didn’t the other night! Overall, the top earner academy was a huge success and a great learning experience. I hope these network marketing tips are of value to you. For more business tips, click here. You may also love my recent network marketing tip blog post about how to use 3 Way Calls. Would you like to understand when and how to use the most under-utilized tool in Network Marketing? Let me ask it another way. Would you like to build a bigger business? The 3 way call is one of the very most effective tools we have in our industry and it is shocking how it doesn’t get used so much more. When it is used correctly, it is an incredible way to close more reps and build better relationships. I had a mentor years ago share lots of network marketing tips with me – but this was one of the best ones. And it is really quite simple. But there is a proper chain of events that should happen to have the most effective 3 way calls you can have. The first thing I want to clear up is clarifying that 3 way calls aren’t just for rookies. I have earned millions of dollars in this industry and in the last 24 hours, I have brought my sponsor, Kelly Bangert (another 7 figure income earner) on to 4 calls with me! (He is the handsome devil in the picture below. LOL) Network Marketing Tip #1: If you want to build a bigger business, realize while it is GREAT for brand new people to use 3 way calls, even as you advance in rank, you should always use 3 way calls and I will explain why. You might say something very similar but sometimes your prospect will get more out of hearing it from someone other than you or someone in addition to you. 3 Way Calls: When do you use this tool? 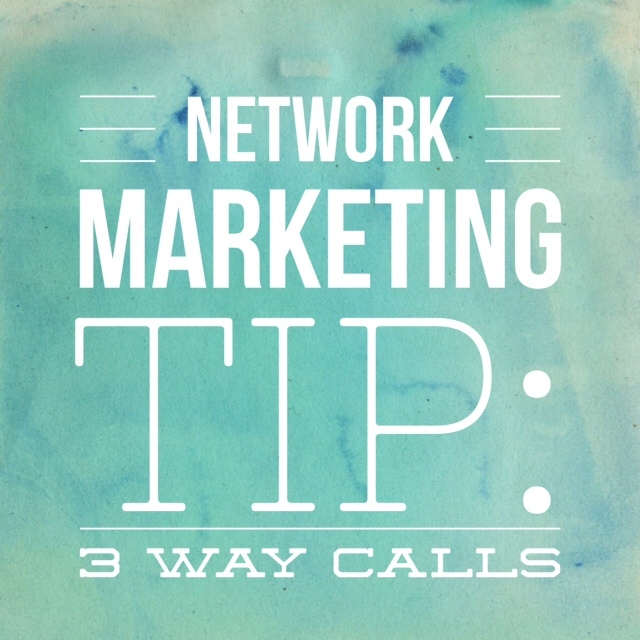 Network Marketing Tip #2: You use 3 way calls AFTER your prospect has been exposed to your opportunity via two tools. If you want to build a bigger business and create a relationship with your upline, sponsor or teammate then you need to follow this You need to do your job first which is to introduce your prospect to your business by having them watch a video, attend an event, watch a webinar, or listen to a conference call. Ideally, your prospect would have “two exposures” before you bring your upline or your sponsor on. If you have done that and followed up with your prospect correctly (read timely followup), and asked the question “What did you like about what you saw or listened to?” You want to draw out as many positives as you can. And they tell you what they liked. And if they tell you a lot about what they liked, then maybe they don’t need a 3 way call and you can say “Sounds like you liked what you have seen. Let’s get you started.” This is where you lead them to a decision. And a lot of people will say okay. The first few times it happens, you will be thinking to yourself – “Really? Really, you are ready to sign up?” But don’t say that out loud…. Can you see how this network marketing tip will help you to build a bigger business faster? Network Marketing Tip #3: This isn’t the time to edify the upline. Not yet. So you have let your upline know ahead of time that you were in follow up call mode and they are on stand by in case you need them. Now your educated prospect has questions and you have casually said you would like to bring your business partner on the phone. Time to get them all on the phone together. NOW you edify the heck out of the upline. The reason not to do it before is a person’s wall of resistance will go up if they think you are going to bring on the master closer…. Once the 3 of you are ON the phone together, now is the time to edify the upline. Another common mistake many people make is they edify the prospect to the upline. Wrong way! You tell the prospect all the great things about the 3rd party on the phone – your upline or your teammate. You tell them how lucky we are to get this person on the line, that she is the top income earner, or the only X rank in the area, or just the best sponsor you could have asked for. Make your prospect feel comfortable and lucky to be on the phone with you and your upline/sponsor. And now this is really important. It is time for you – the organizer extraordinaire of 3 way calls to be quiet. Don’t interrupt. Do let your upline do most of the talking. This isn’t always easy. You think of something they forgot. You think of something that would really help…. If you really want the 3 way calls to work and to build a bigger business faster, then almost all of the time you just want to be quiet and let your upline work the 3rd party magic. And never correct the person you just edified. Even if they say something wrong. Your prospect doesn’t know. You can clear it up later… Chances are really good it isn’t important anyway. Lastly, set a goal for how many 3 way calls you are going to do each week. Track those numbers. The more 3 way calls you have, the more it means you are doing the right things – contacting and inviting people to look at your products/services and opportunity. When you bring more qualified prospects to a 3 way call, you are closing more people. It works. This is also a great way to get your upline’s attention. When we see our teammates doing the right thing and engaging, we are more involved in their success. And that is always a good thing! Here’s to you building a bigger business and helping all of us to make the 3 way calls to no longer be under-utilized! I hope these network marketing tips are of value to you. For more business tips, click here. You may also love my recent network marketing tip blog post about one of my biggest breakthroughs.